We know there are only a few weeks left in the school year, but you need to find somewhere to drink on the cheap post-Binder. 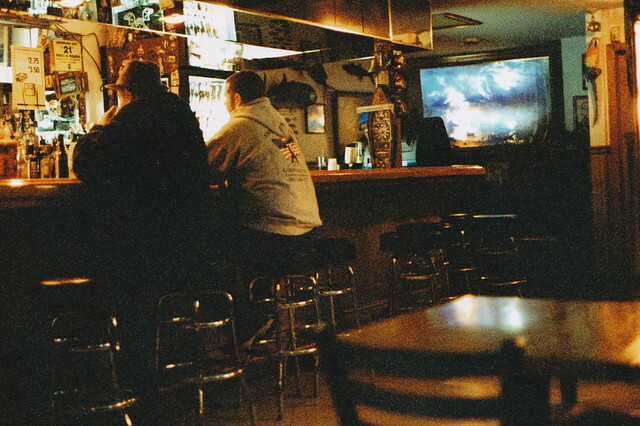 Let BlogDH guide you (totally seriously) through all the best dive bars to stumble into/out of on a warm spring night. Tired of the numerous Brown parties and fun bars that Providence has to offer? Seeking the company of a lady with some more experience under her belt? If this sounds familiar, or if your budget is approaching that of a drifter, then Captain Seaweed’s Family Pub is the place for you. Before heading down with a few friends to a new bar, it makes sense to research the place. The Facebook page for Seaweed’s boasts “Lonely…? Come let Captain Seaweed be your date!” It offers $6 pitchers along with a variety of lobster-themed deals. One satisfied customer raved, “Is there a new phone number? The one on the internet didn’t work…” If you’re anything like me, then this place sounded too good to be true. I headed to see the Captain with a group of guys and girls, emotionally unprepared for the adventure ahead of us. The bar’s dark, pirate-themed atmosphere only served to heighten the mysterious aura surrounding the bar regulars, who no doubt began their drinking at 7 in the morning (and at age 7). The average age of the patrons seemed to be 50, while there were some 30-year-old women (who looked 65) and 70-year-old men (who looked dead) in between. While no music was playing, a lively couple tangoed the night away, and we settled ourselves to the bar to begin a classic night of Brown-style binge-drinking. The bartender was friendly enough, silently glaring at us until we realized that he was waiting for our order. I unilaterally decided that the group would be drinking a couple pitchers of the house brew, Seaweed’s Lager. The beer was a delicious combination of two of my favorite cocktail mixers: water and Natty Ice. As we consumed our new favorite beer, a bar regular caught the eye of one of the female members of our group. Stumbling over, he propped one leg upon the stool next to her, and kindly offered to buy her a drink – even promising that it wouldn’t contain roofies! (And I thought chivalry was dead.) Surprisingly, she declined. It was at this point my friends all remembered that they “had a ton of work the next morning,” and might call it an early night. As we briskly walked away, I happily added Captain Seaweed’s to my e’er-growing mental list of charming and hip locales, and resolved to tell all about it ASAP. Overall, I give Captain Seaweed’s 4 out of 5 stars. Posted in: News / Tagged: bars, captain seaweed's, dive bars, the weekly dive, we won a lobster here once! I must add that I wrote this article from Brent Grossman-Mckee and Kent Umphrees-Mcgee.